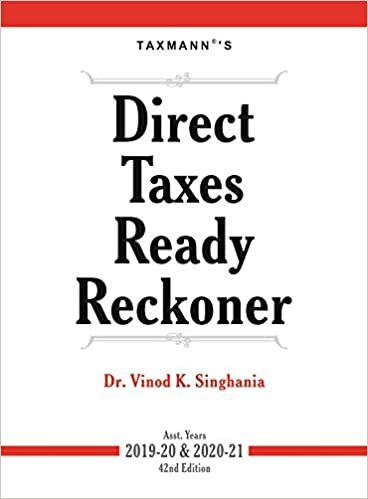 Amendments made by the Finance Bill, 2019, are duly incorporated in respective Chapters of the Reckoner and are appropriately highlighted. Comprehensive analysis of amendments with illustrations is given separately in Reference 2: Amendments at a glance. Law stated in this book is as amended by the Finance Bill, 2019 (As passed by both the Houses).